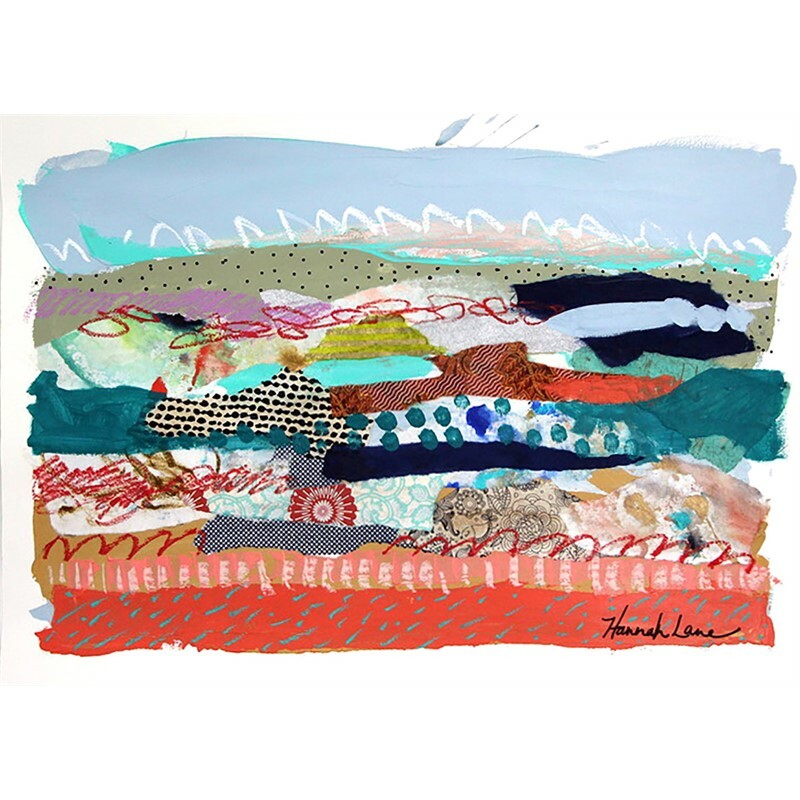 Hannah Lane is a poetic mixed-media artist who thrives on wild creativity and the exploration of the unknown. As a Louisianan native, Lane takes pride in her Southern genesis. 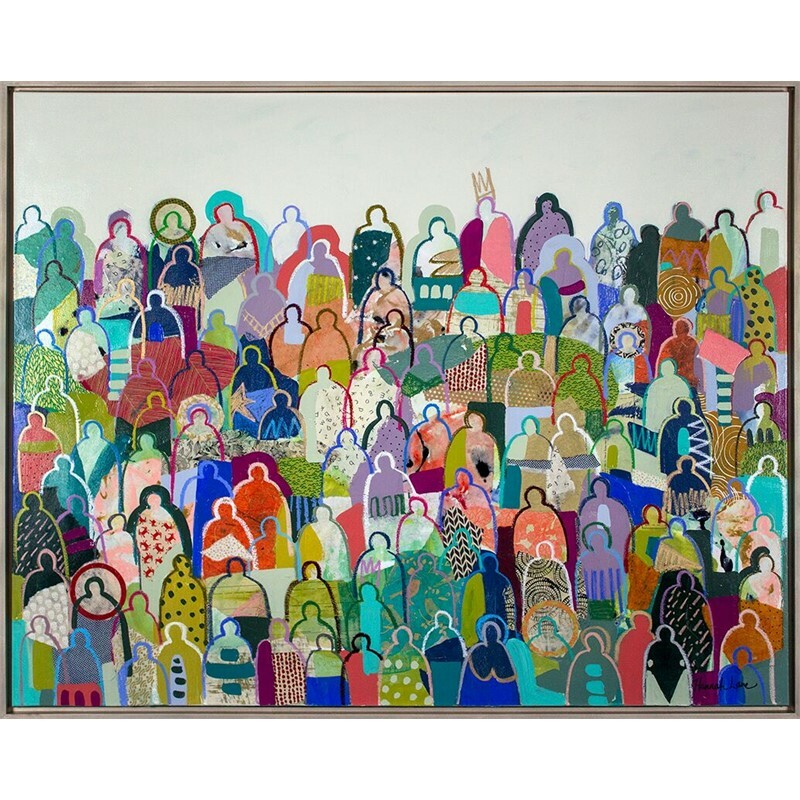 Her work embodies the vibrancy and allure of the South, celebrating the varied landscapes, diverse cultures, and the heartfelt values of family and community that are deeply enmeshed in her spirit. 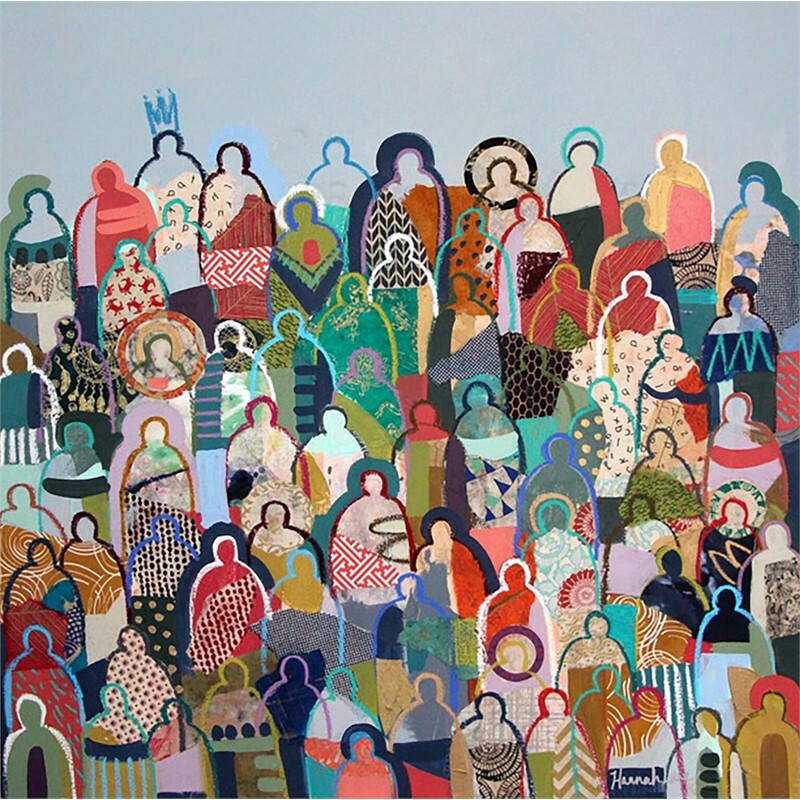 She uses illustrative line work and bursts of color as an emotional response to the forms she holds dear. 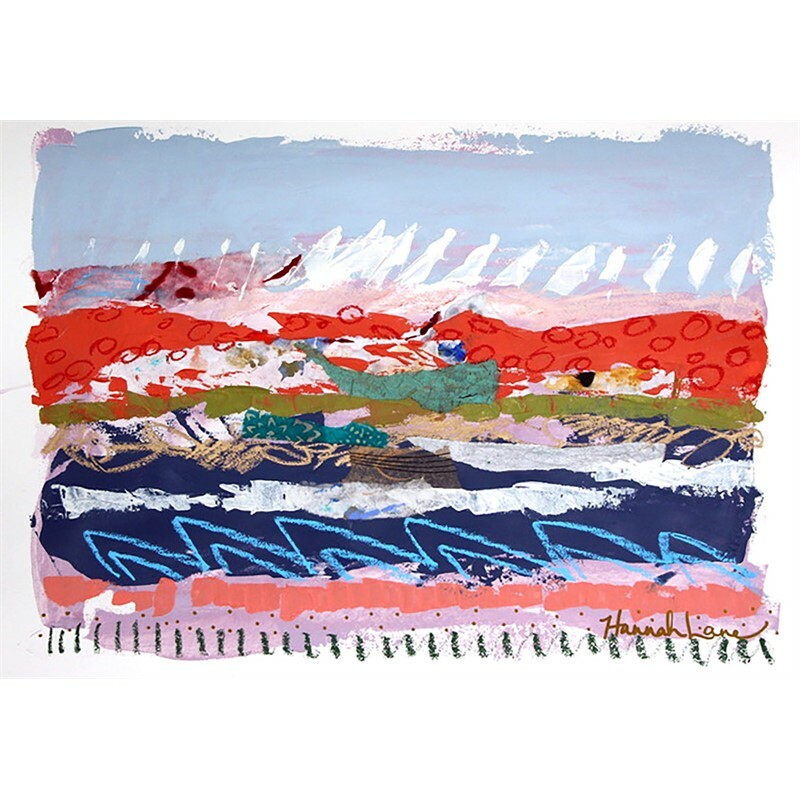 With a broad style of abstract expressionism and gestural mark making, Lane manipulates materials and composition through a constructive process of pigmented Japanese paper, paint, and drawn work. 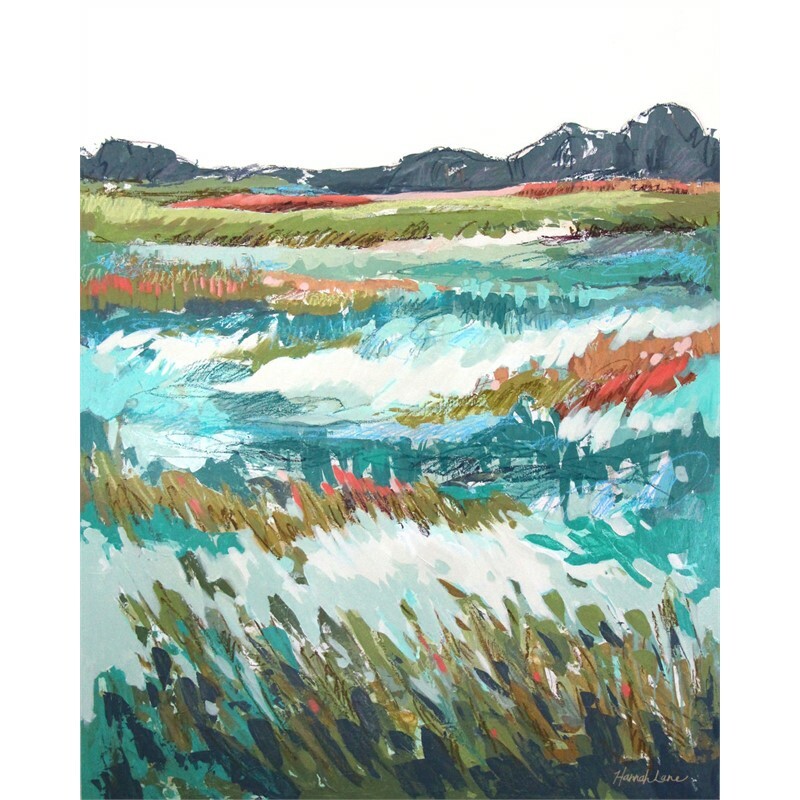 A graduate of Savannah College of Art & Design, Lane began her artistic career as an illustrator and graphic designer before finding her undeniable passion as a painter. 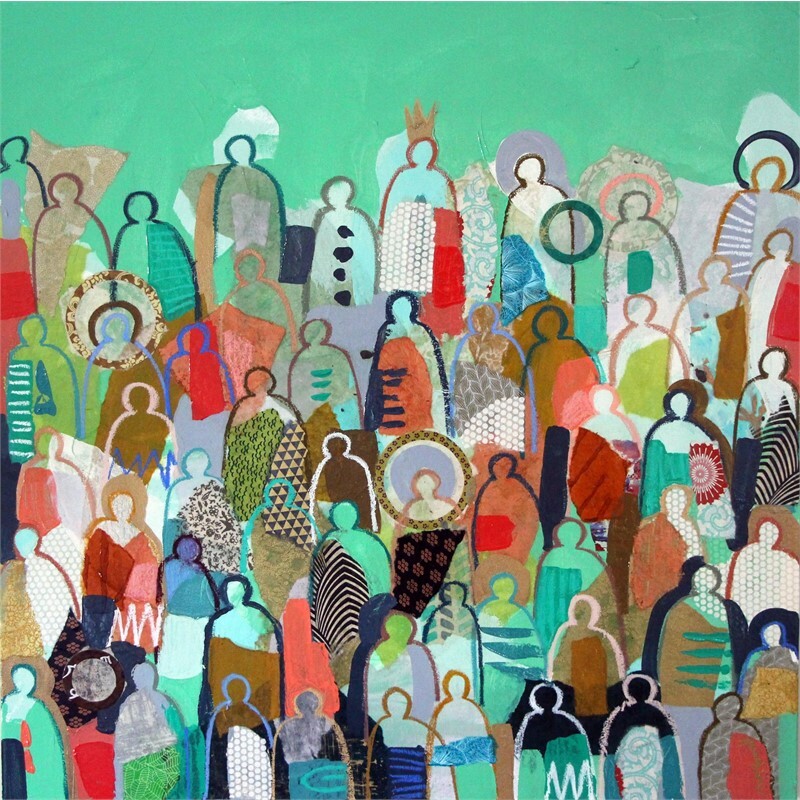 After living and painting abroad in Italy, and later New Orleans, Lane found home in Nashville, Tennessee. 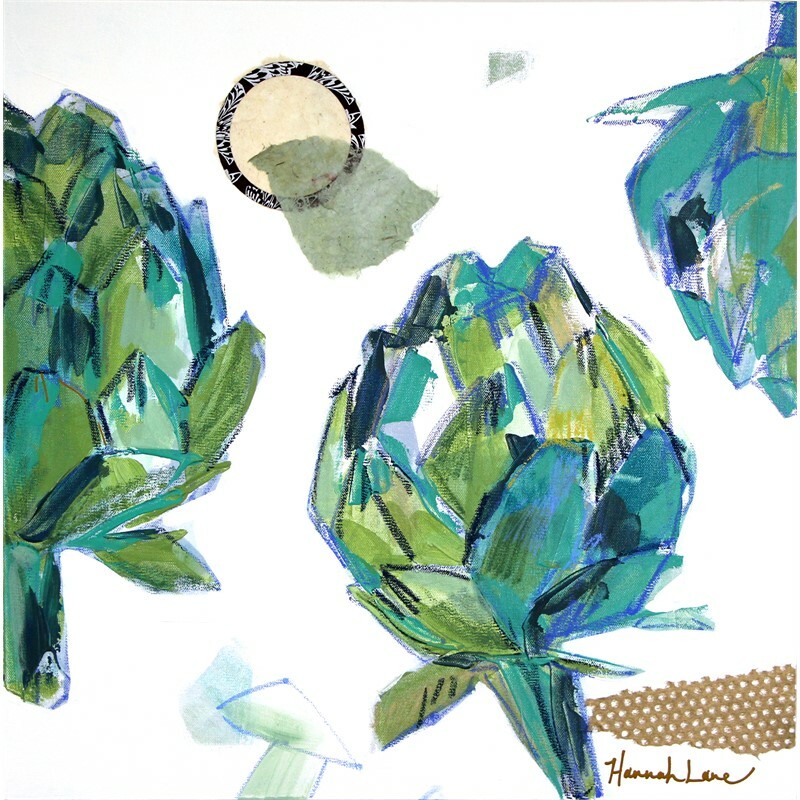 Galvanized by the marbled papers in Florence, Italy, Lane began collecting and working with papers in 2012. Not long after, she began pigmenting Japanese and patterned papers with ink to further transform them before layering with pastels and acrylic paint. The mystery and exposure in the materials create a process that is just as gratifying as the finished piece. Intentto take risks, Lane pushes the boundaries of mixed media past the familiar. She continues to work with common forms and figures while breaking open her creative vocabulary. 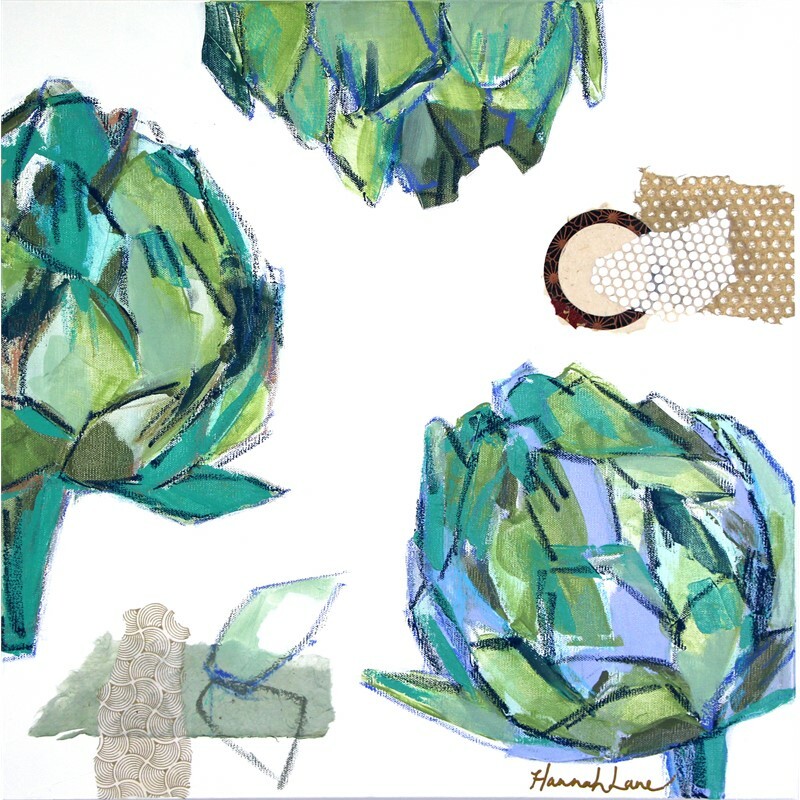 Hannah Lane is part of a thriving art community and paints full time in her home studio. 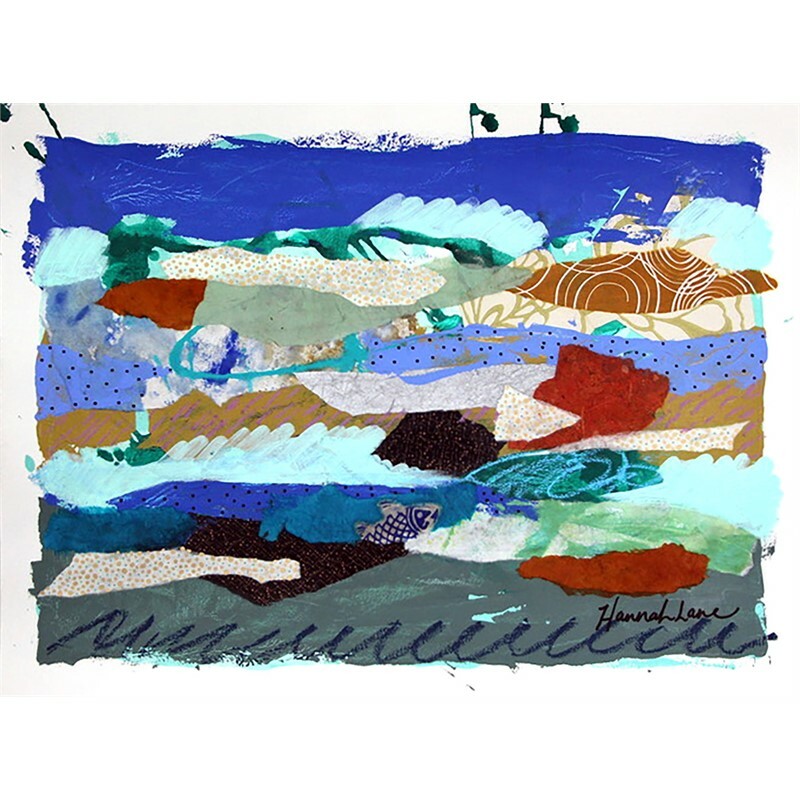 Lane’s work is represented in six galleries throughout the Southeast and is a featured artist of the Nashville Artist Collective. 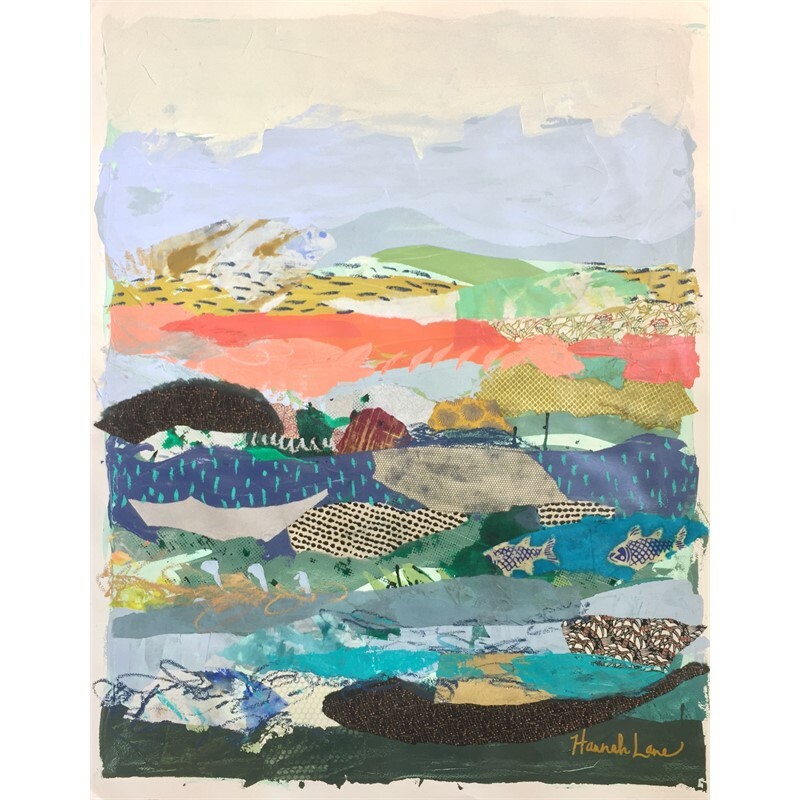 She welcomes studio visits by appointment, where guests can see her work on display and get a glimpse into her creative process. 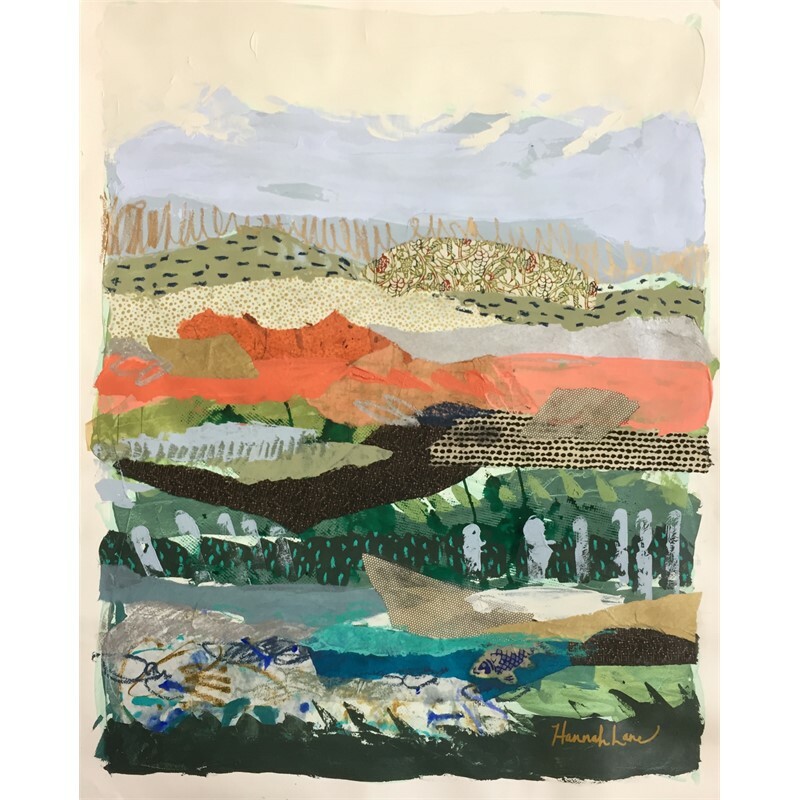 She loves connecting with people who are passionate about original art, and cherishes the individual responses one encounters in her sacred space. 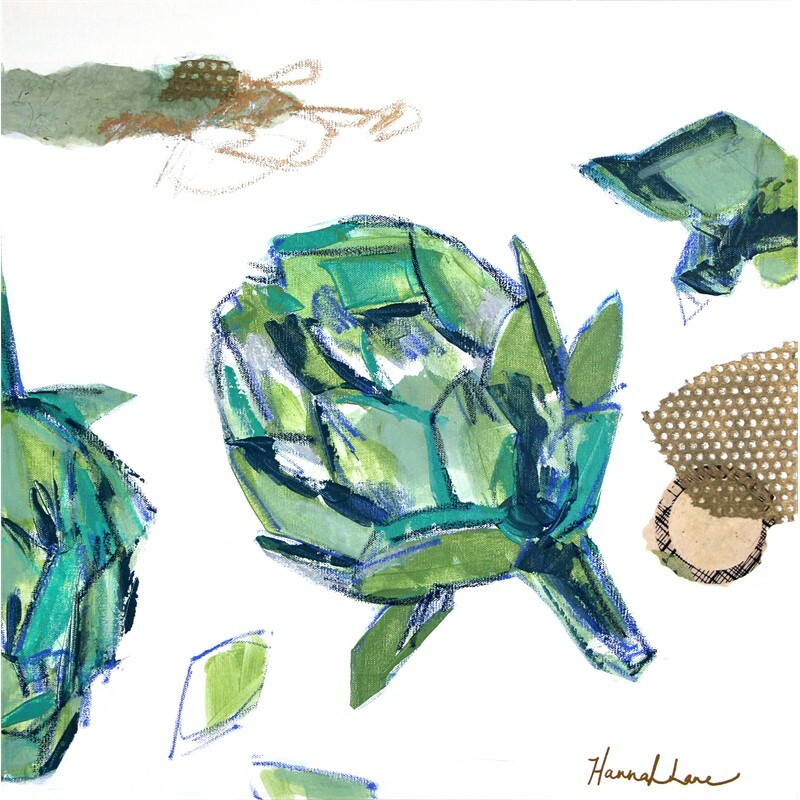 Hannah Lane is a poetic mixed-media artist who thrives on wild creativity and the exploration of the unknown. As a Louisianan native, Lane takes pride in her Southern genesis. 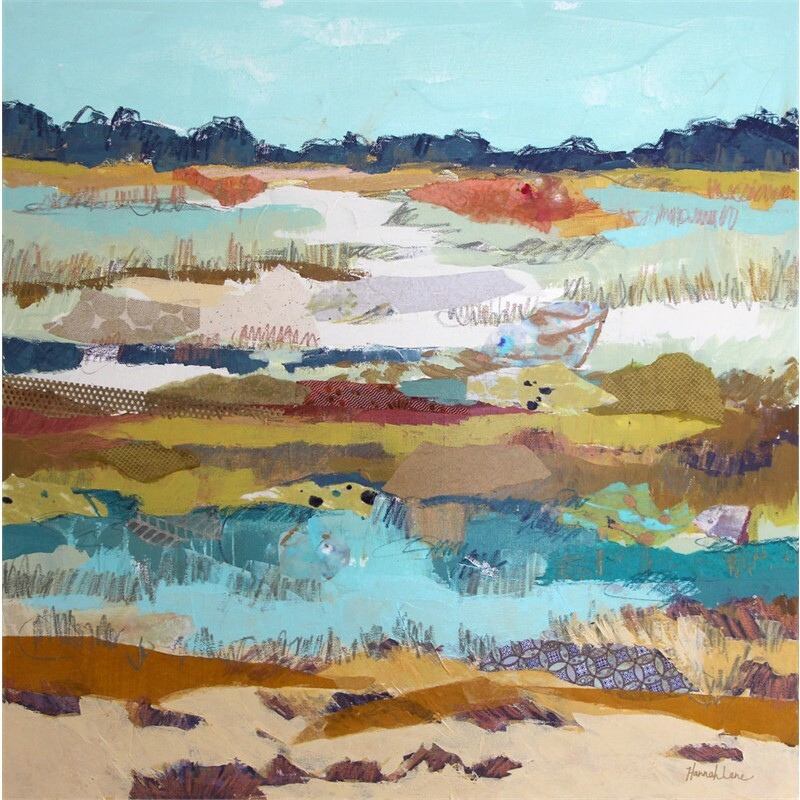 Her work embodies the vibrancy and allure of the South, celebrating the varied landscapes, diverse cultures, and the heartfelt values of family and community that are deeply enmeshed in her spirit. 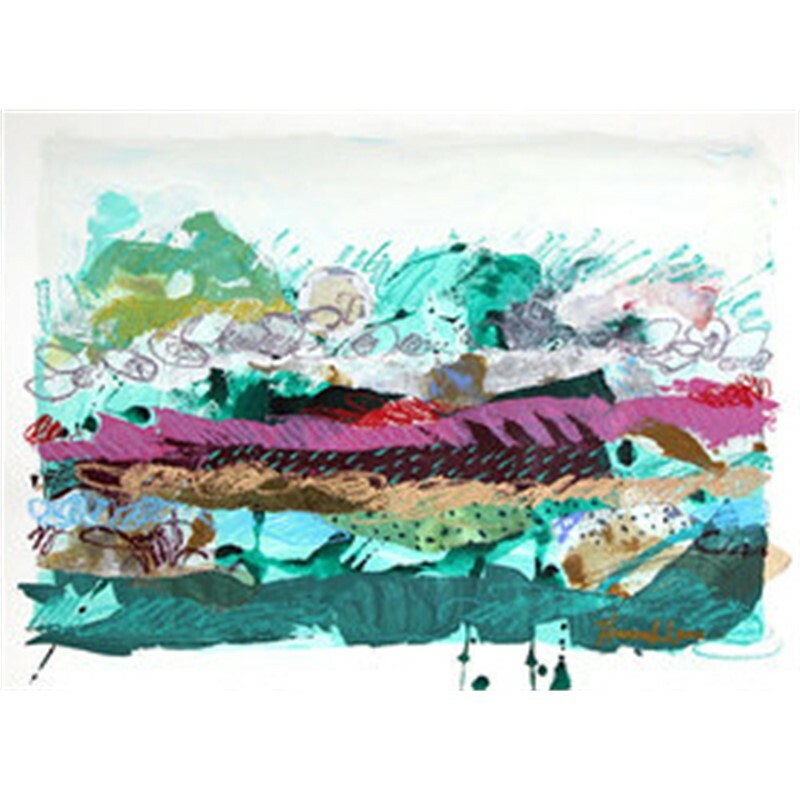 She uses illustrative line work and bursts of color as an emotional response to the forms she holds dear. 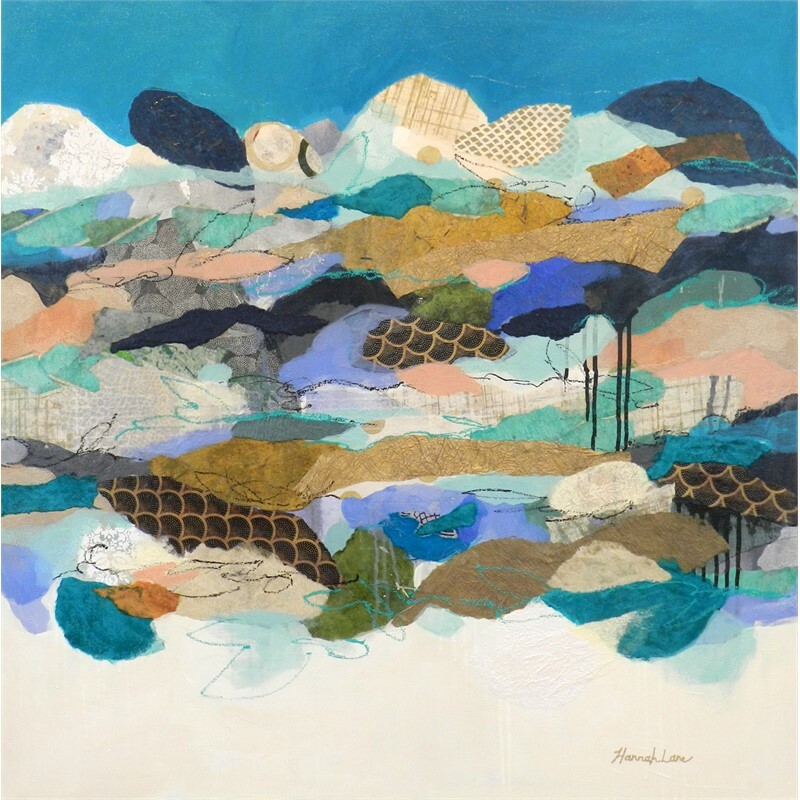 With a broad style of abstract expressionism and gestural mark making, Lane manipulates materials and composition through a constructive process of pigmented Japanese paper, paint, and drawn work. 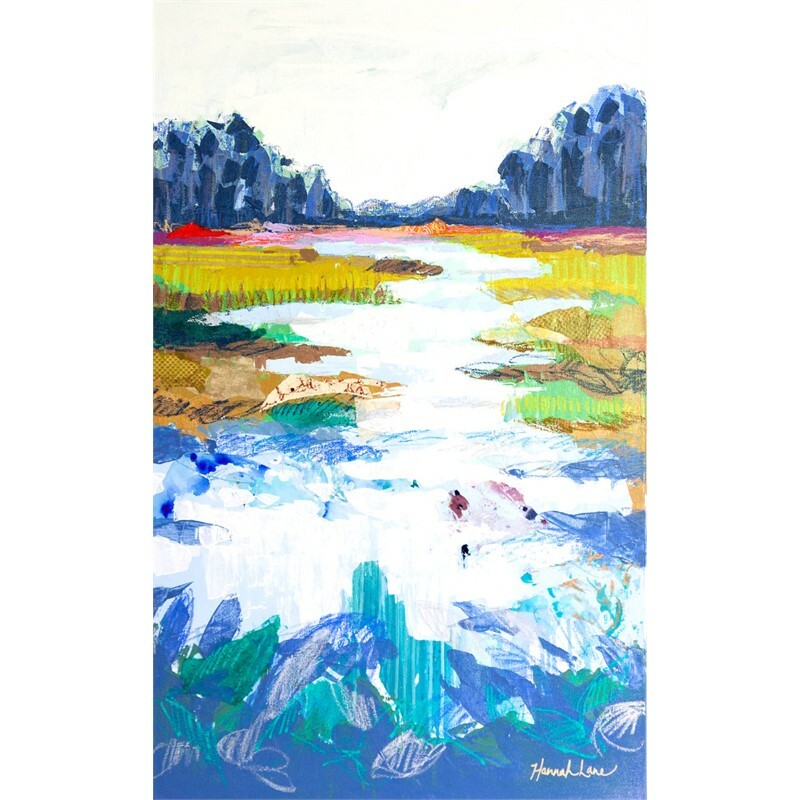 A graduate of Savannah College of Art & Design, Lane began her artistic career as an illustrator and graphic designer before finding her undeniable passion as a painter. 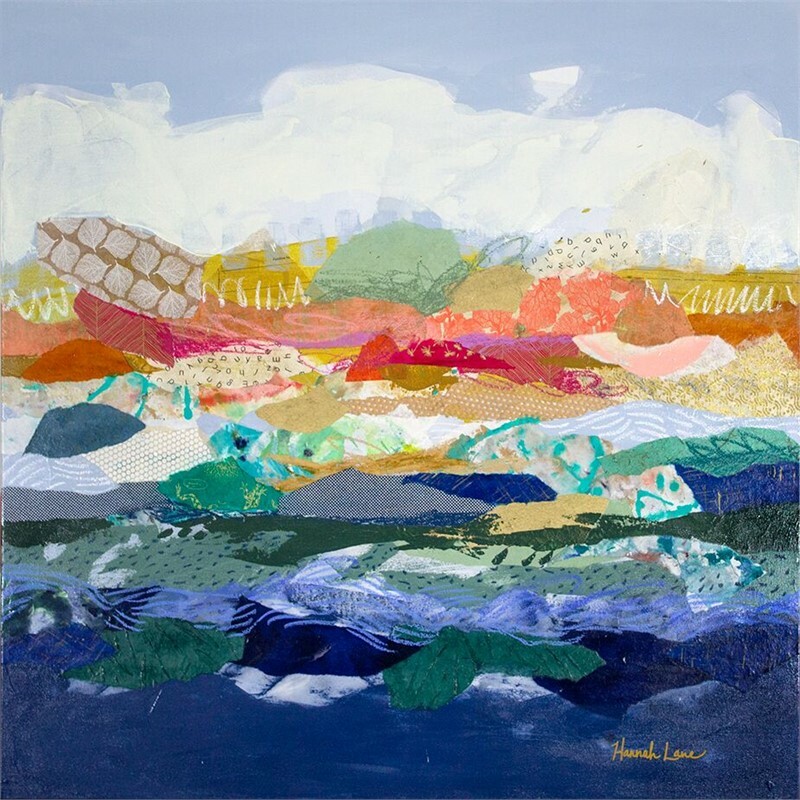 After living and painting abroad in Italy, and later New Orleans, Lane found home in Nashville, Tennessee. 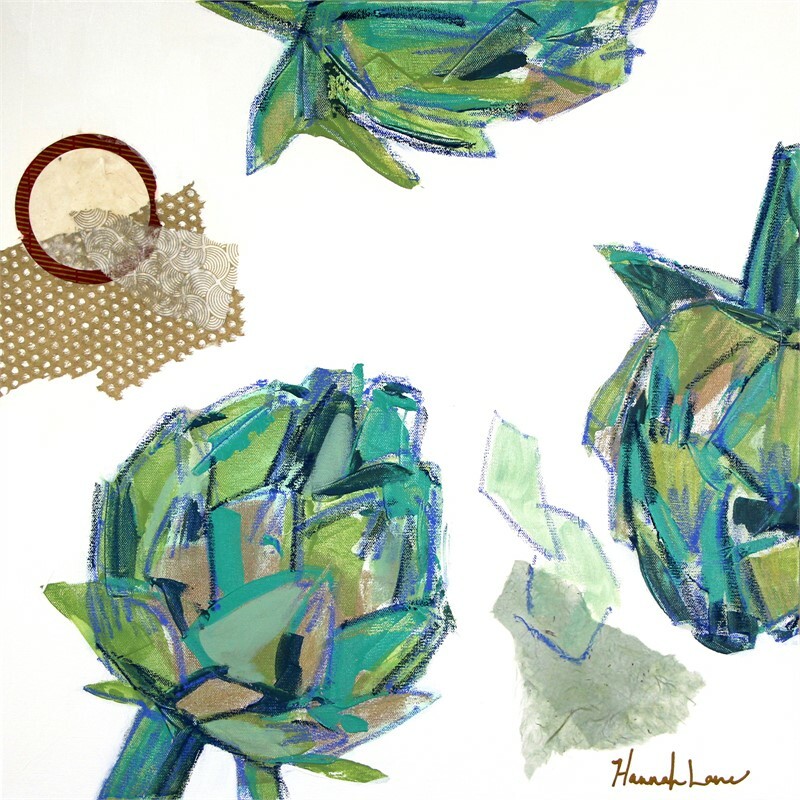 Galvanized by the marbled papers in Florence, Italy, Lane began collecting and working with papers in 2012. Not long after, she began pigmenting Japanese and patterned papers with ink to further transform them before layering with pastels and acrylic paint. The mystery and exposure in the materials create a process that is just as gratifying as the finished piece. 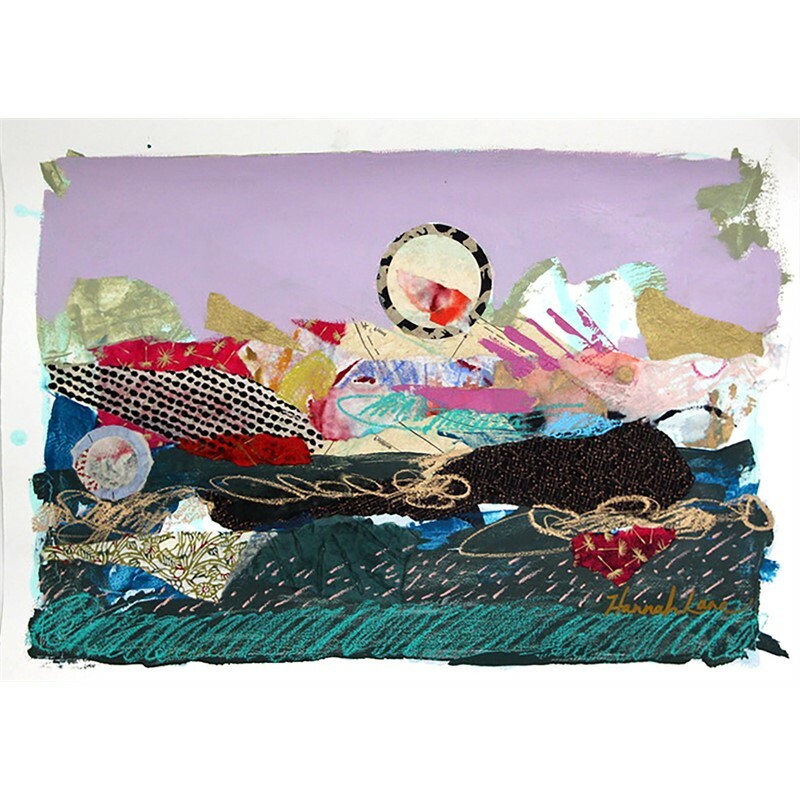 Intentto take risks, Lane pushes the boundaries of mixed media past the familiar. 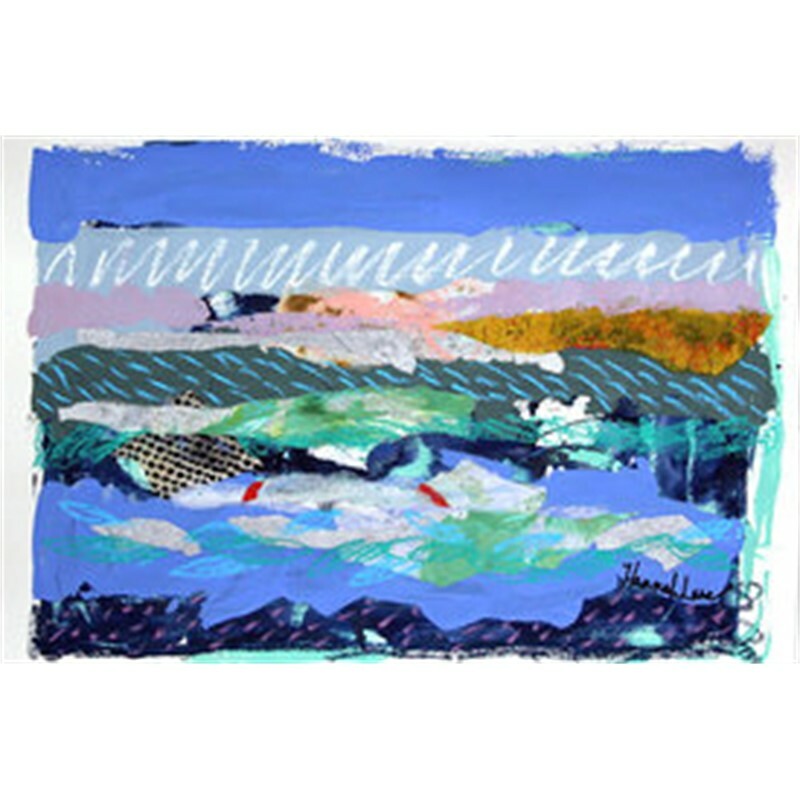 She continues to work with common forms and figures while breaking open her creative vocabulary. 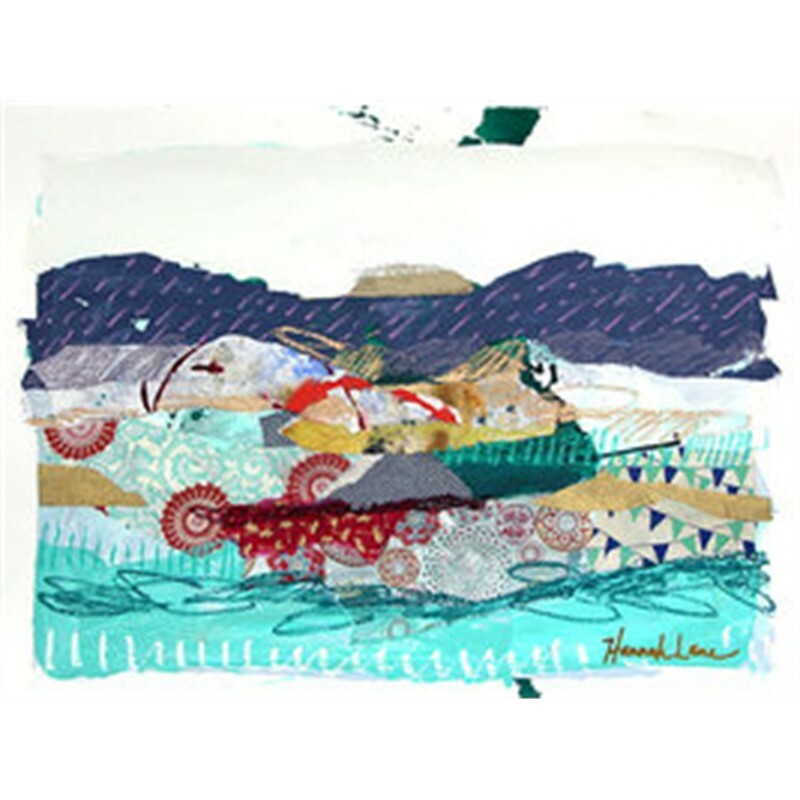 Hannah Lane is part of a thriving art community and paints full time in her home studio. 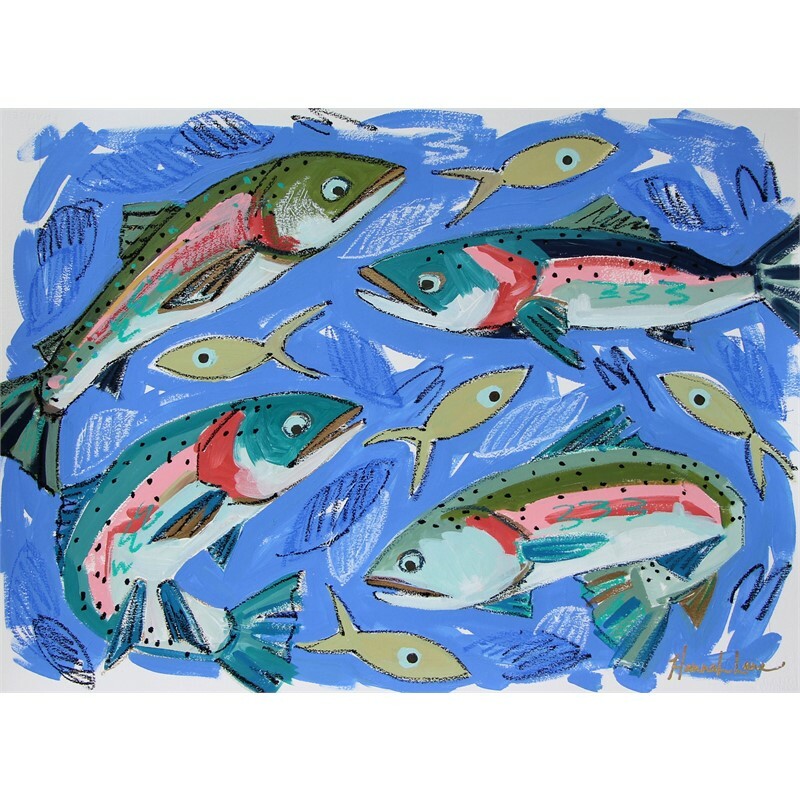 Lane’s work is represented in six galleries throughout the Southeast and is a featured artist of the Nashville Artist Collective. 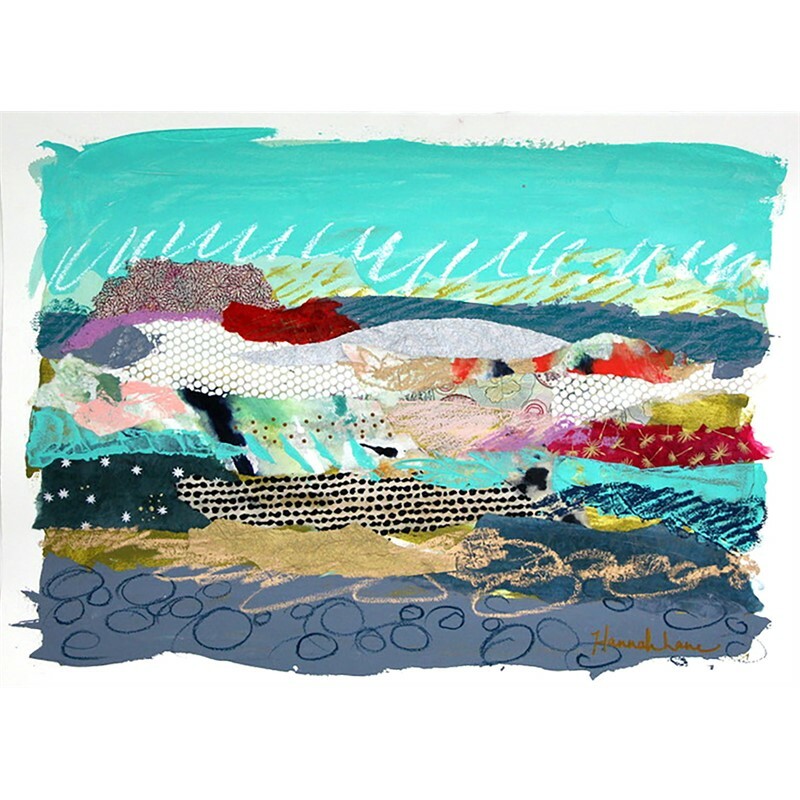 She welcomes studio visits by appointment, where guests can see her work on display and get a glimpse into her creative process. 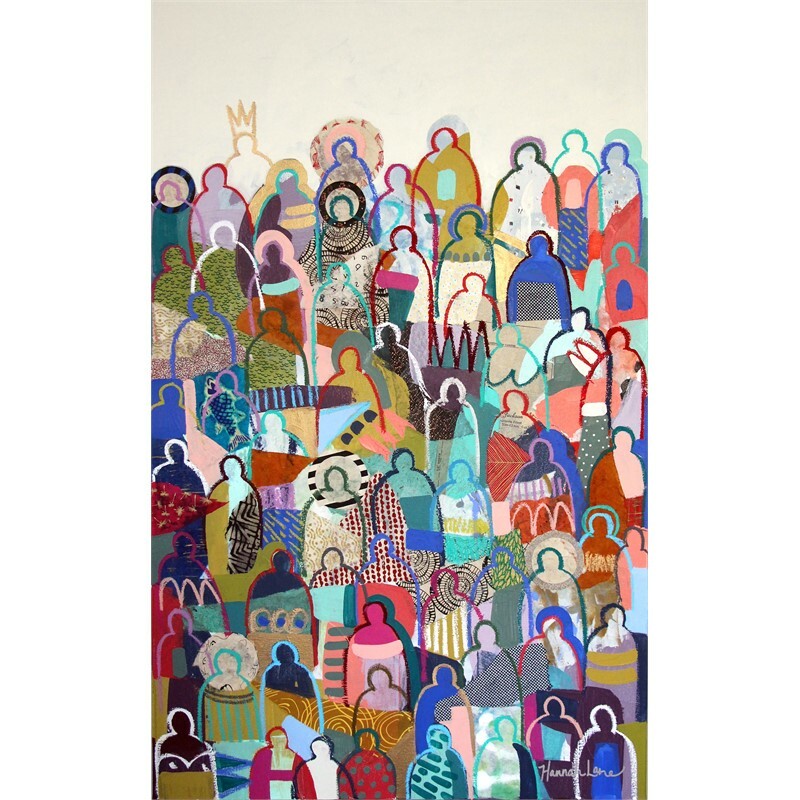 She loves connecting with people who are passionate about original art, and cherishes the individual responses one encounters in her sacred space.